Established in 1991, the name Afzal is synonymous with the reminiscence of glorious scents to fragrance lovers in South Africa and the world over. In Arabic, Afzal is a superlative that means superior. We aim to embody excellence in every way. In the fragrance business for over 20 years, Afzal has become the perfumer of choice for discrete connoisseurs, royalty, heads of state – and anyone who appreciates the value of exceptional fragrance. Afzal is the vision of one man, Afzal Yusuf, who has worked passionately to make the very best perfumes – especially those of the Oudh scent – accessible and affordable. Afzal has dedicated his professional life to studying the Science of Perfumery and educating all about the innumerable physical, mental and spiritual benefits of Concentrated Fragrances (Attars). 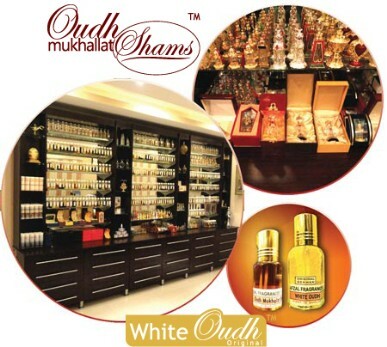 We have participated in countless regional and national exhibitions, coupled with extensive marketing in selective print and electronic media, including international radio & television programmes and many education fora to create a lasting awareness regarding the magnificent world of quality Attars and fragrances. Afzal sources only the finest Attars, Fragrances and raw ingredients. We are based in Durban, South Africa, and have a state-of-the-art facility; an executive showroom for a unique, private shopping experience; a modern Research & Development wing for the blending and creation of our in-house blends; and a manufacturing, packaging and storage division. We have developed into a reputable leader in the fragrance industry due to our unrivalled ethic of service, diligence and uncompromising honesty. We are always setting new standards, reaching a new plateau of excellence, giving more to you. Our product range exceeds 300 fragrances in western and oriental perfumes for men and women. Although they range from the entry level fine fragrance to the inestimably exceptional, none of them are ordinary. Our fragrances are carefully selected from the best that the East and West have to offer. Step into our world of scent; dream in colour. Afzal: your superior choice for fine fragrances!